Legal operations is based on the honorable goal of optimizing legal services delivery. Some of the more left-brained among us may be passionate about efficiency for efficiency’s sake. But there are more human reasons to pursue it: It can increase your visibility, credibility and compensation. Simply put, legal operations can make your boss happy. 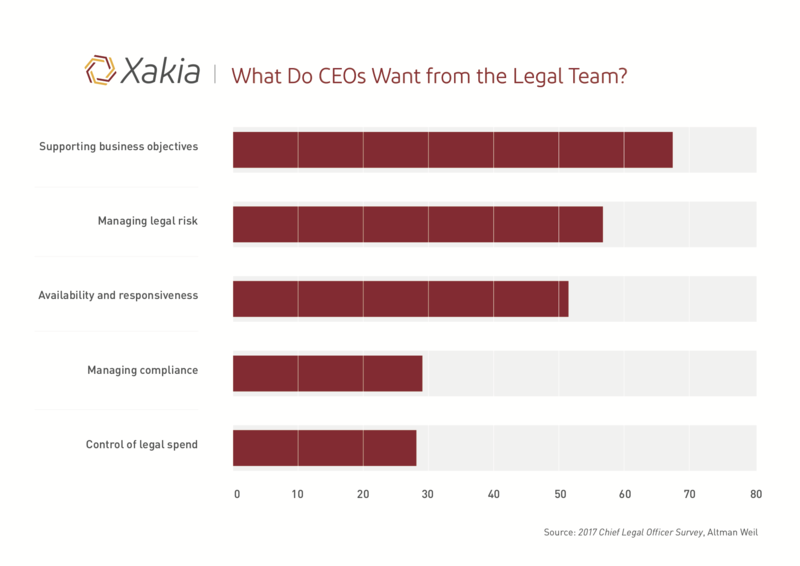 Whether you are among the 61 percent of U.S. law departments that report directly to the CEO or whether your relationship is more dotted-line, it’s important to know what executives and boards value most – and how you can leverage legal operations to bolster your most important work relationships. Supporting their claims to want the GC to be a true adviser, 96 percent predicted that general counsel would be members of the management team by 2020. Most in-house departments aren’t failing to do these things – they fail to track and report them. When asked straightforwardly whether they measured the value delivered to the business by the legal department, 77 percent of global companies said no. This bears repeating: More than three-quarters of law departments do not measure their value whatsoever – despite their strategic importance and despite the fact that performance bonuses can account for up to 67 percent of in-house counsel compensation in the U.S.
Perhaps this disconnect helps explain why 40 percent of in-house counsel would consider leaving because of pay issues, as reported by BarkerGilmore’s compensation report. We designed the Xakia dashboard to address the value drivers that matter most to your stakeholders – the C-suite and the board. Our software helps you define value several ways – through legal spend, matter risk and monetary significance, and strategic importance. Trend compilations help you advise company leaders; deadline trackers keep you compliant; automated reports increase your responsiveness and quickly provide powerful illustrations of your department’s contributions. As in-house counsel, you have tremendous value; we want to help you prove it. Would you like to learn what legal operations can do for your department? Download our white paper for ten key benefits and see how four simple steps can improve legal operations for teams of any size.